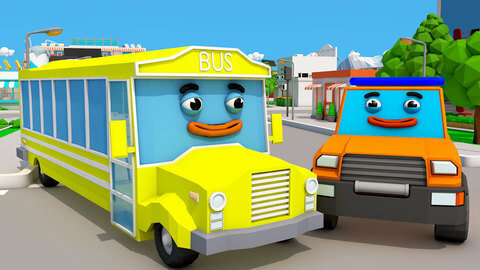 This 3D kids' car adventure will keep you glued to the edge of your seat! A cop on a speedy chase crashes into a friendly orange rescue truck. The truck decides to help out and uses his tools to catch the runaway car. Watch to see how the mission is completed and then go to SeeZisKids to find more fun, free videos for toddlers!